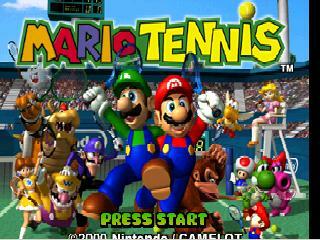 Enlist some of your favorite characters from the Mario universe for a game of doubles in Mario Tennis. Where else could you play tennis on a court surrounded by lava? Play solo or with up to three friends simultaneously. Exhibition Mode provides a friendly, straightforward game, while Tournament Mode will settle the bets. Mario, Luigi, Bowser, Peach, Toad, and Donkey Kong lead off the all-star, 14-player line-up. The fast-paced action will have you unleashing vicious volleys, life-saving lobs, ballistic backhands and electrifying super-charged smashes! 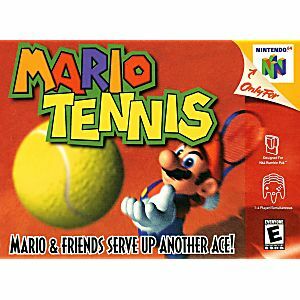 Mario Tennis is a very casual and fun Tennis game which lets you control one of 14 characters + unlockables on a variety of court with smash, slice and lob various powerup. It's a must have for anyone that still has a N64. As always, Lukie Games, shipped it fast and in a perfect condition. The game came in excellent condition and in a great timely manner. I ordered Mario tennis and the game came in perfect working condition and the shipping was very fast! It was also the best priced option I had found. Would highly recommend, and would order from Lukie Games again. The game came quickly after ordering and was protectively packaged. It works great! Would definitely buy from this site again. Ordered from canada and waited the minimum time expected. Both this game and another came in great shape and work fine. Very happy with this order and will be buying again from them in the future! Ordered the game from this site and it arrived in great condition/in a timely manner. One of my favorite N64 titles from back in the day. A perfect 4-player game to sit along side SSB and Goldeneye. Highly recommended. I ordered Mario Tennis and could not be more pleased with the delivery time. The game worked perfectly fine. 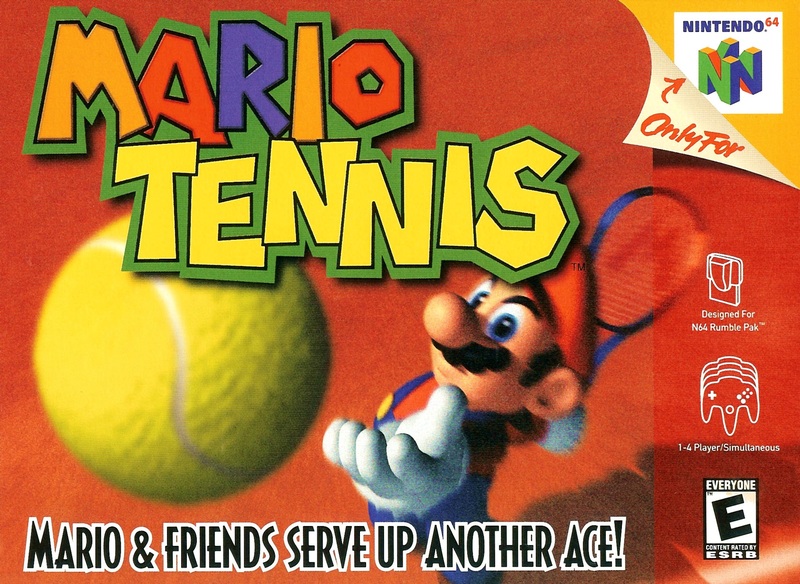 Mario Tennis definitely brings out your competitive side when you play among friends. So much fun! The game came in incredibly fast and works great. I will definitely be shopping here again. Thanks! Great game! Plays great. So easy to track shipping. Perfect for multiplayer all day long! The shipping was freaking fast, and the cartridge is perfectly 'like new'! I love you guys! 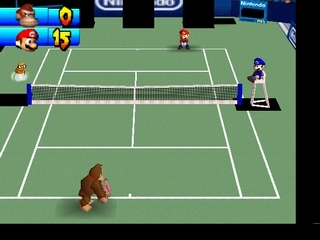 Mario Tennis is a great game to play with friends, or on single player so you can unlock new courts and the 2 hidden characters. you can play with up to 4 people at a time in 2v2 doubles matches or 1v2 and a computer team-mate which is why this game is so crucial, unlike most sports games the computer team-mate doesn't slow you down at all.